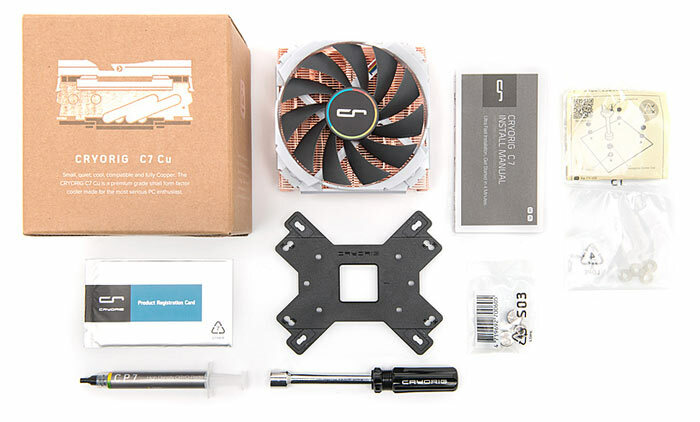 Cooling specialist Cryorig, which also sells a singular PC case design, has released a new heat sink and fan cooler aimed at Small Form Factor PC builds. 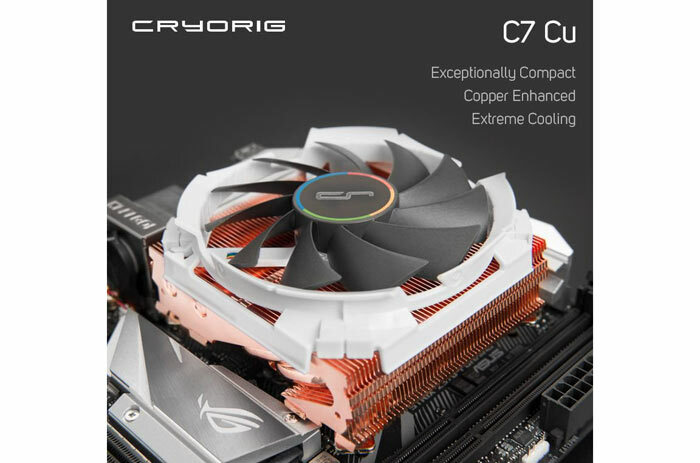 The new product is called the Cryorig C7 Cu, where the ‘Cu’ suffix is taken from the periodic table indicating its “extravagant use of copper for the whole heatsink body”. The key claim of Cryorig, and the justification for going ‘full copper’ rather than mixing copper and aluminium components, is that thermal improvements of up of 15 per cent can be attained (compared to the original C7). This is especially important, and can help keep component sizes down, in ultra compact SFF/ITX builds where space is limited, reckons Cryorig. The Cryorig C7 Cu is built on the same architecture as the C7, as the name implies. 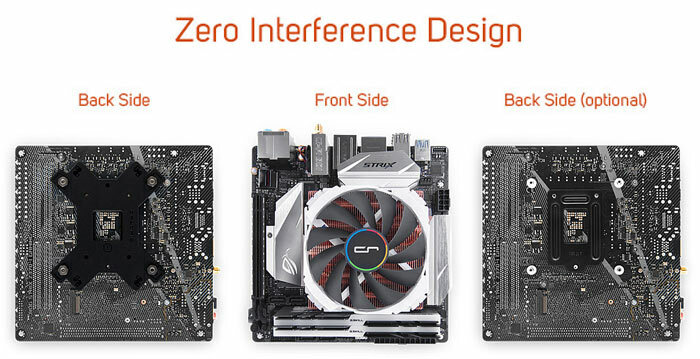 This means that purchasers can still benefit from the same attractive qualities of the design, such as; zero interference (with other motherboard components) on either AMD or Intel boards, an included installation tool, and a pre-installed 92mm PWM fan with integrated anti-vibration pads. In further technical detail, Cryorig describes its 92mm fan as featuring its proprietary Quad Air Intake system, where additional intakes are placed at the four corners of the fan housing. Thus air is pulled from the sides of the unit, not just above. Such refinements are particularly fitting for SFF/ITX systems, says Cryorig. If you live in Asia you should be able to get your hands on the Cryorig C7 Cu, or at least very soon. Those of us living in Europe or the USA will have to wait until late May. The product MSRP is €49 (including tax) / $49 (not including tax). Higher conductivity only helps when your fin efficiency is low to begin with, is it really going to make much difference on such small fins? It's “up to” 15%. So anything between the same and 15% when the conditions are perfect and there's an otter farting in the right direction in Montana. Also probably compared to the worst conditions possible for the previous generation. I think you meant, “sides”. If the quoted TDP is accurate and it supports the 1366 socket layout, I might buy a few of these for my dual CPU server.